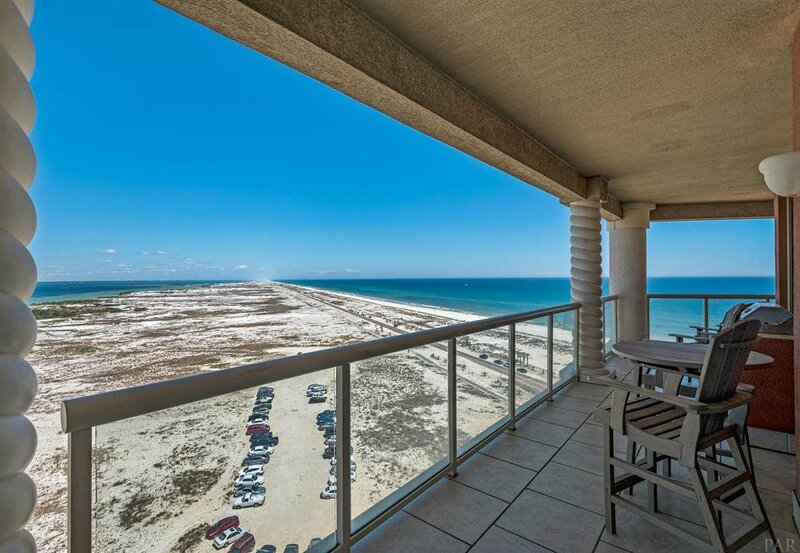 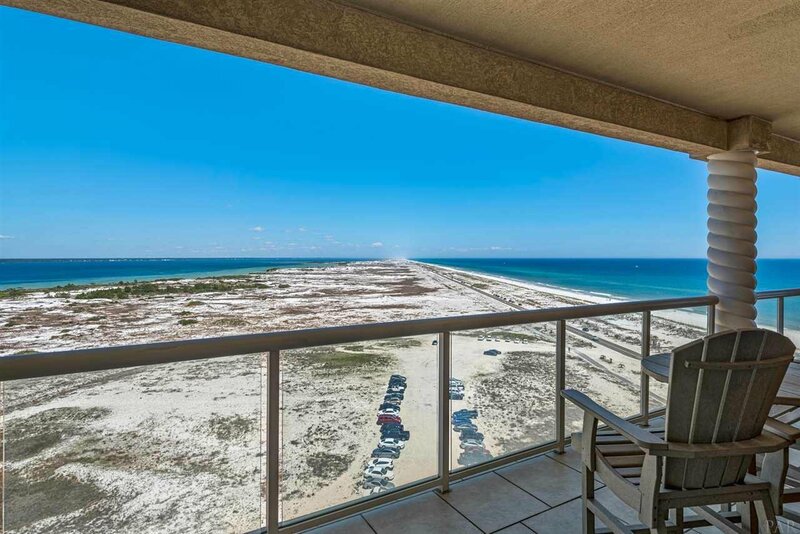 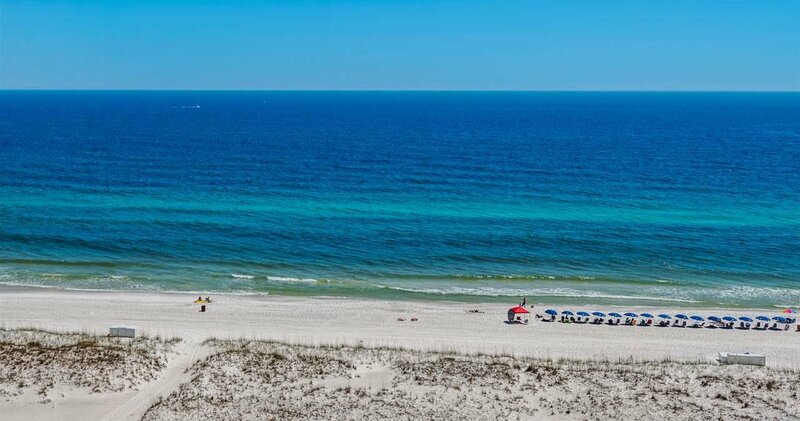 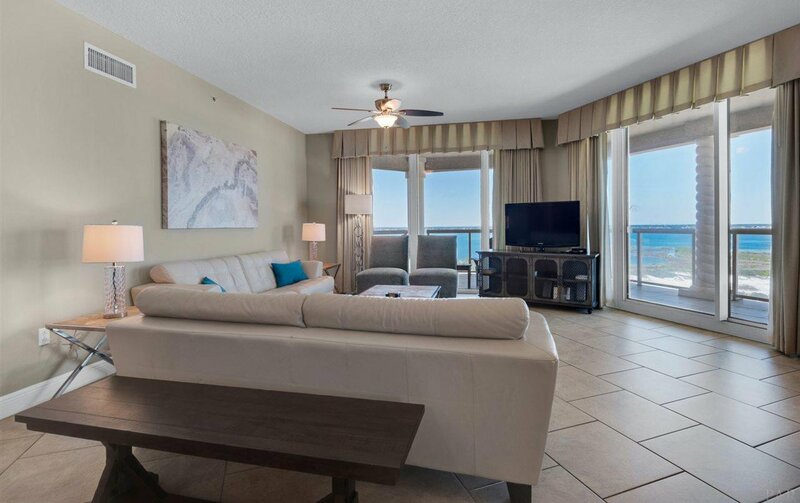 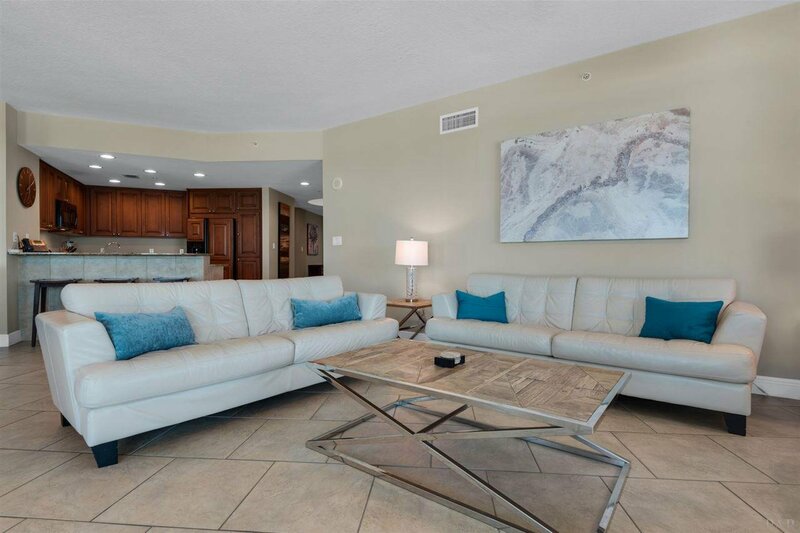 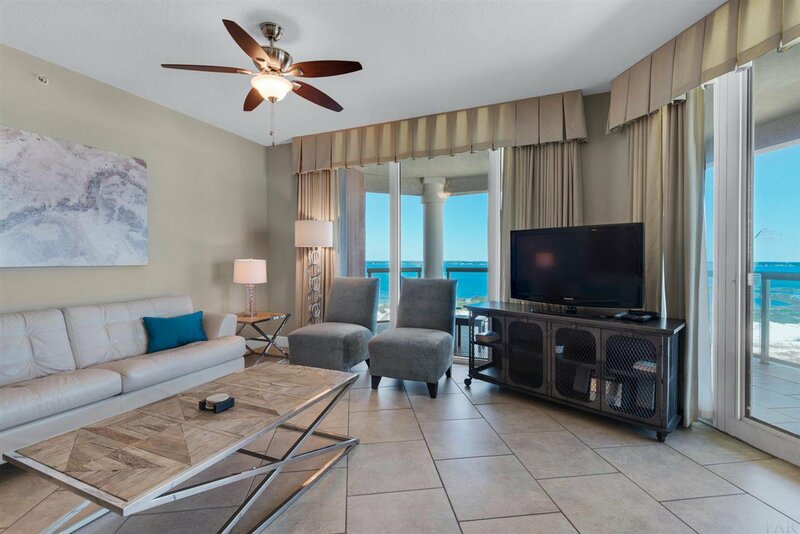 Located in popular Tower 3, this unit offers the easiest walk to the beach in the resort. 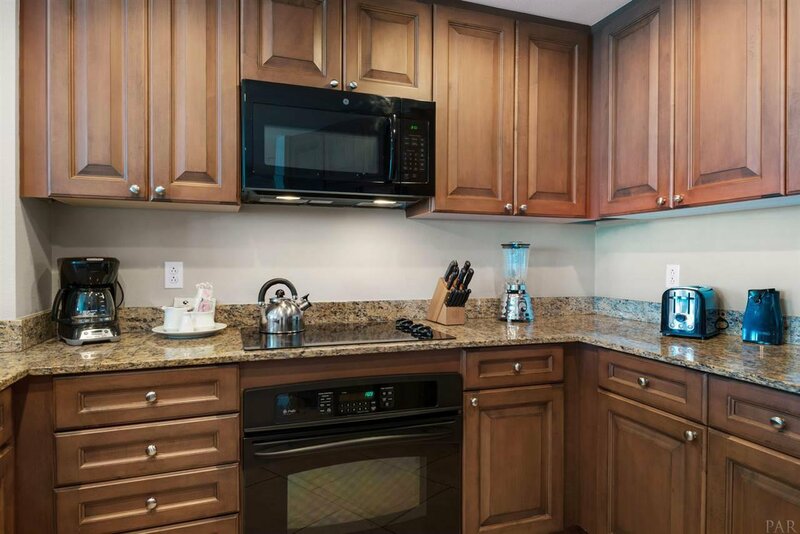 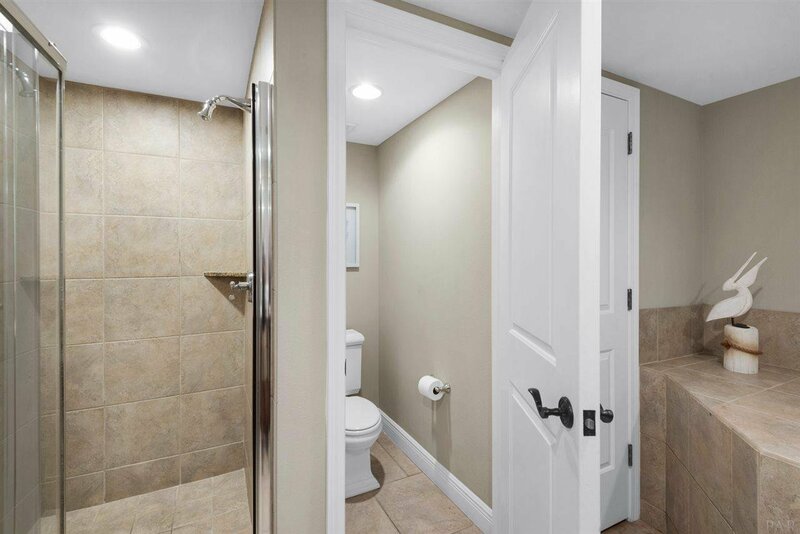 This three bedroom comes with 3 COVERED parking spaces and 2 storage units. 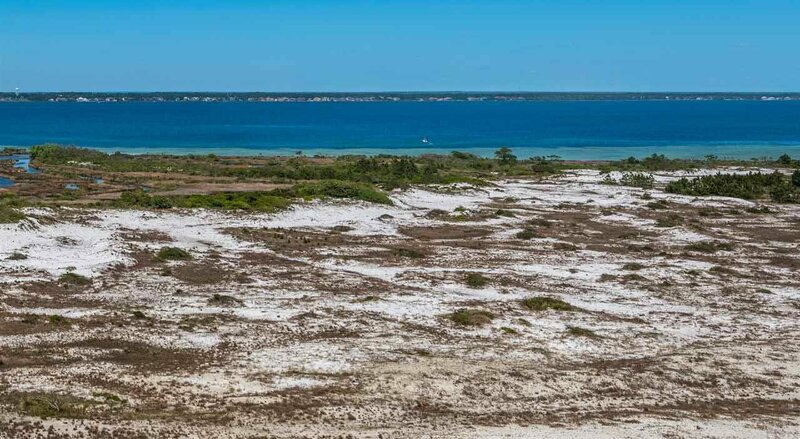 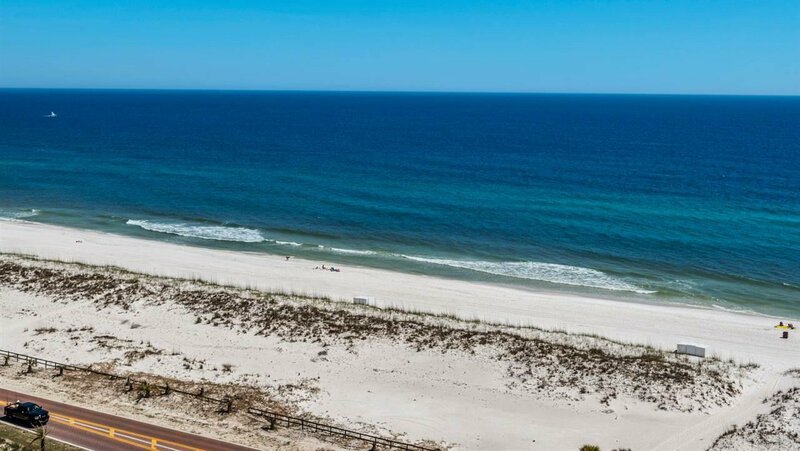 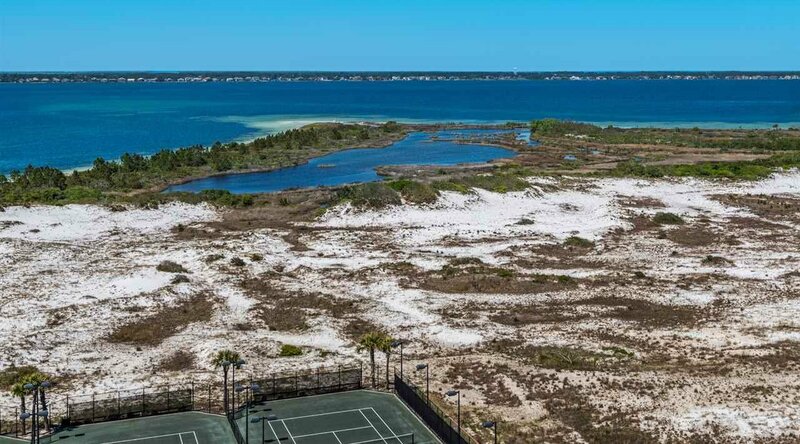 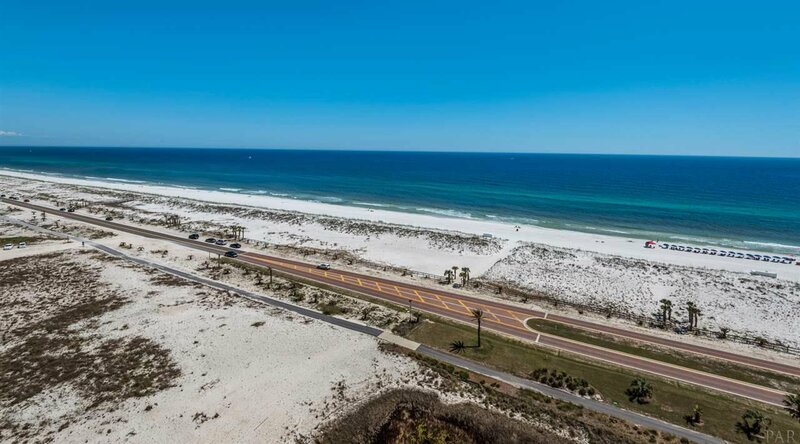 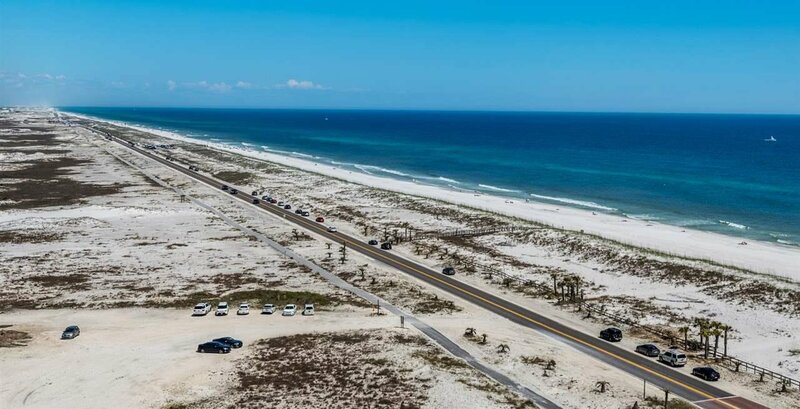 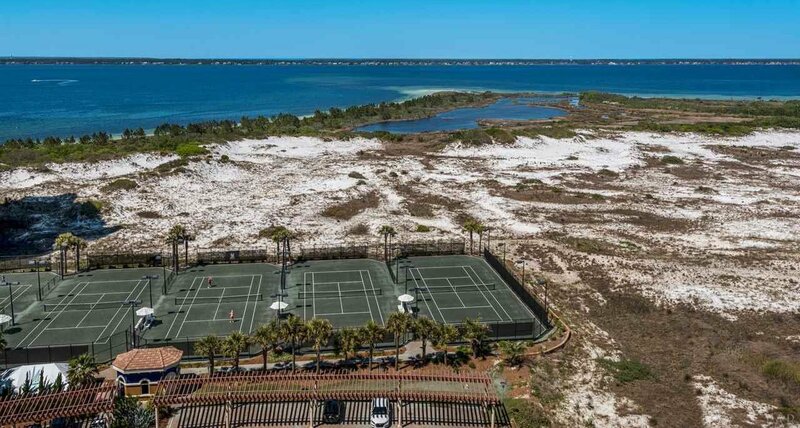 Nestled between the Gulf of Mexico, Santa Rosa Sound, and eight miles of National Seashore; Portofino offers unmatched natural beauty along with top-notch resort amenities. 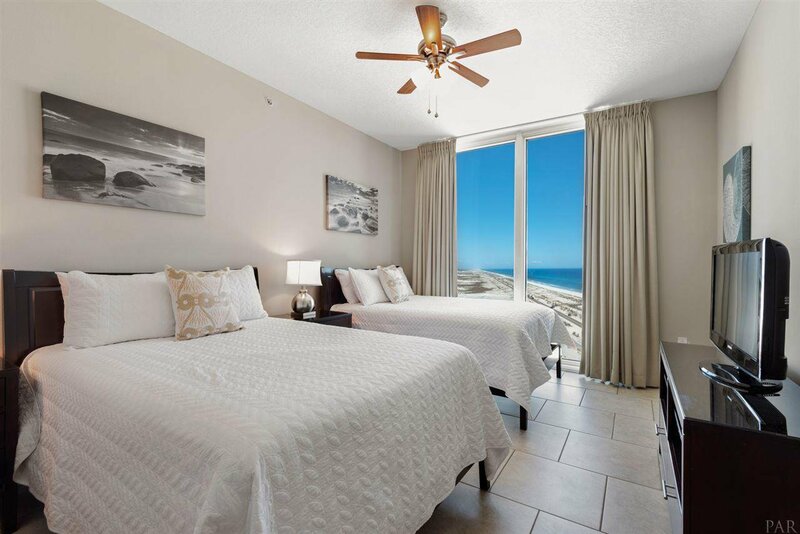 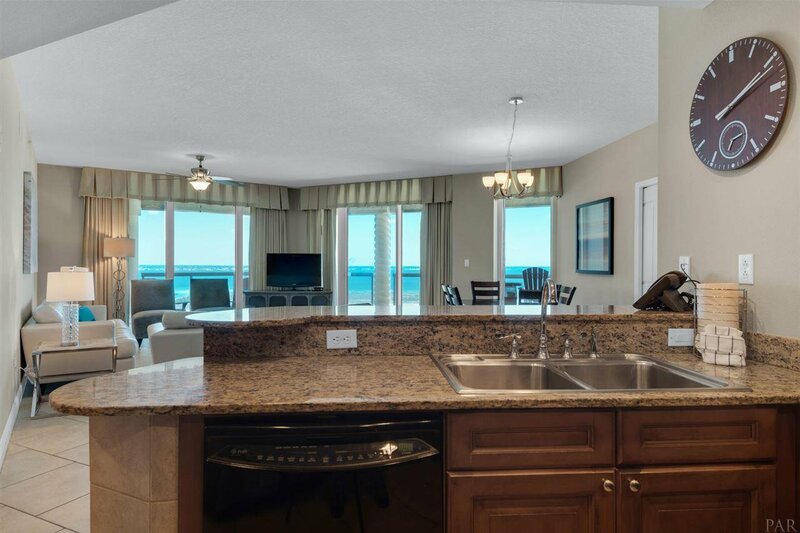 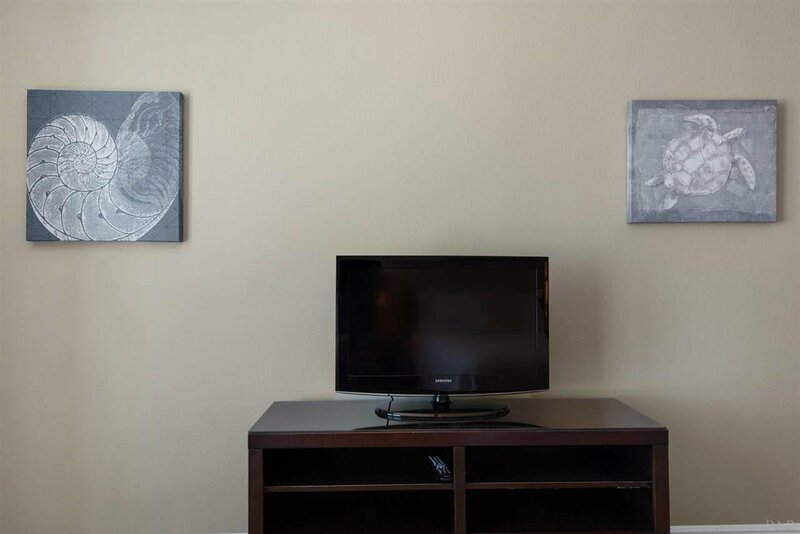 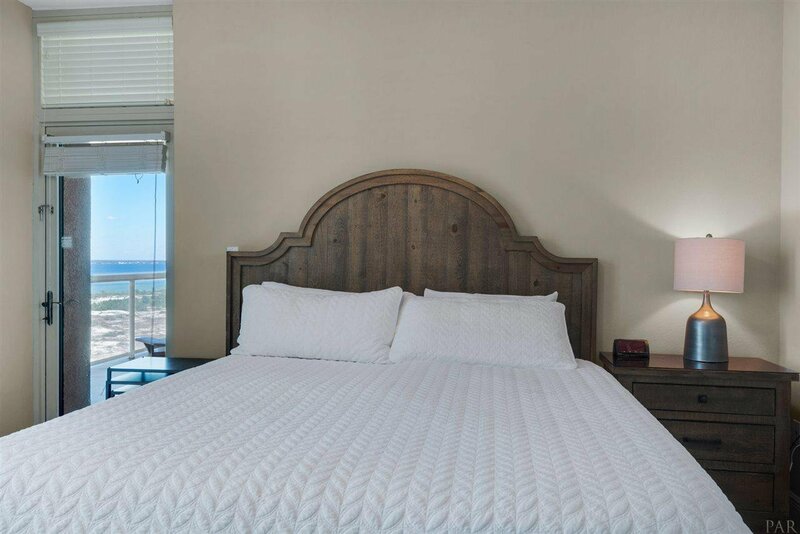 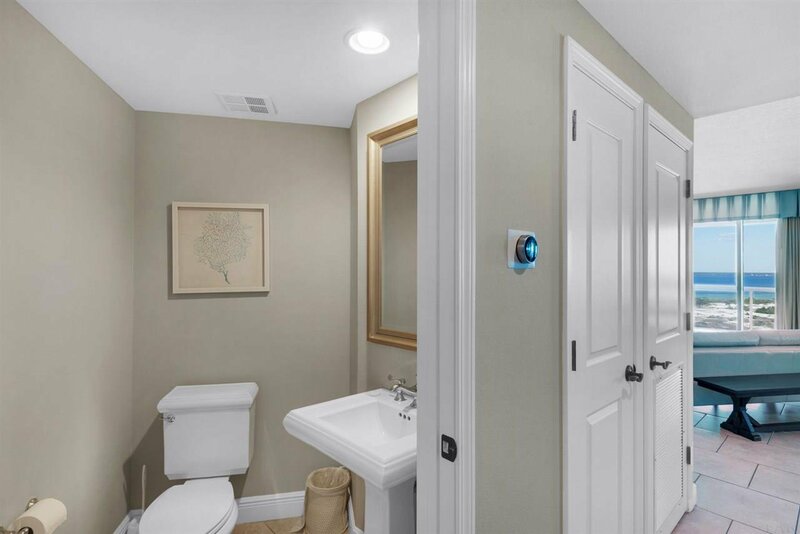 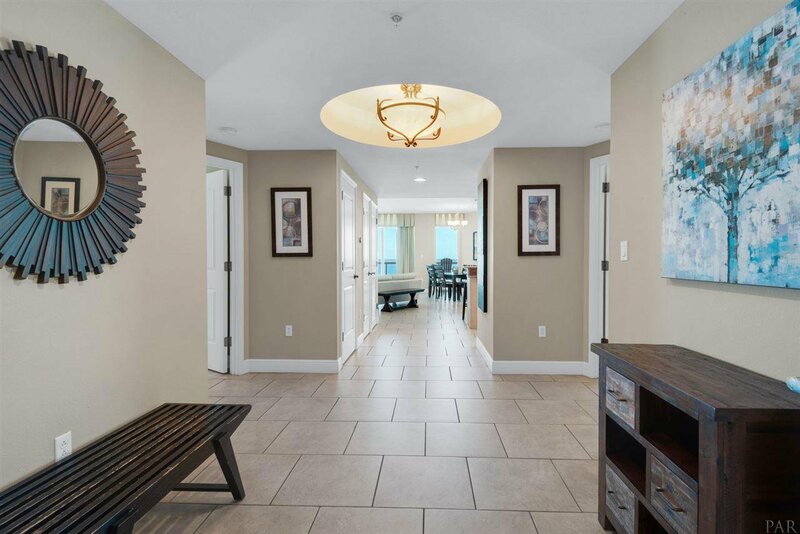 You will enjoy panoramic water views from every room, as well as an amazing view of the National Seashore. 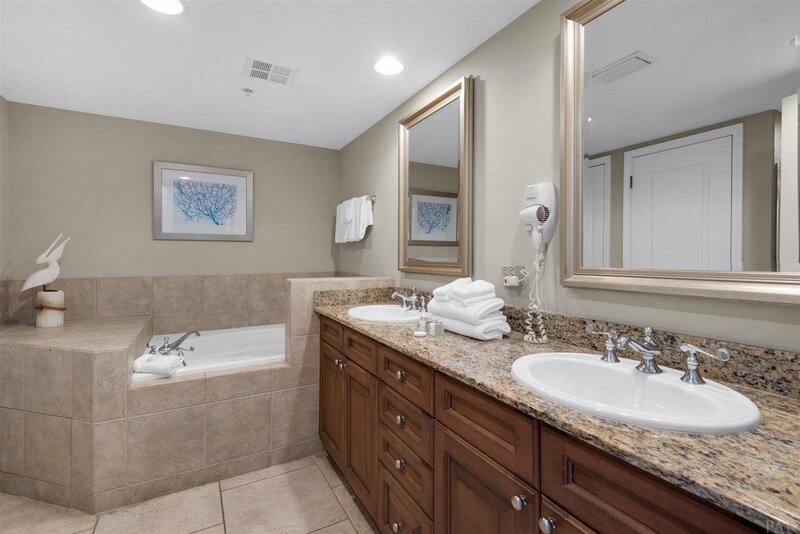 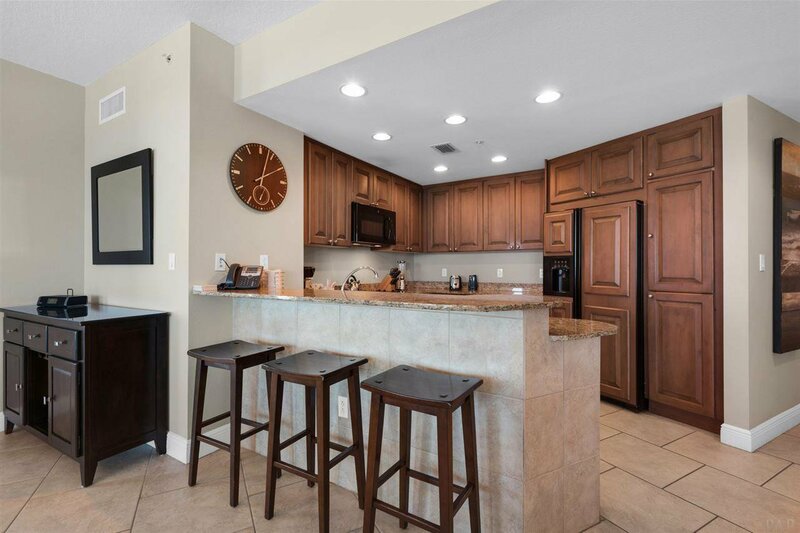 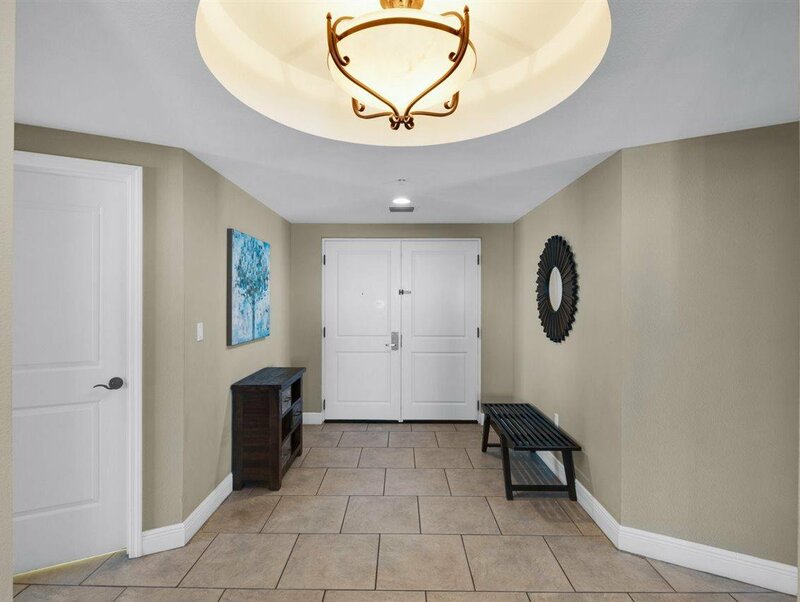 The interior is upgraded with tile throughout, granite counter tops, granite in the bathrooms, smooth ceilings, and outdoor cooking center. 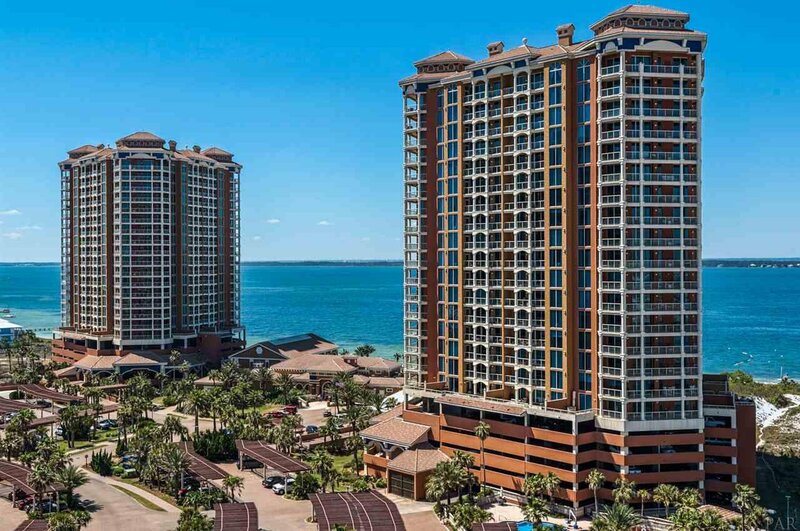 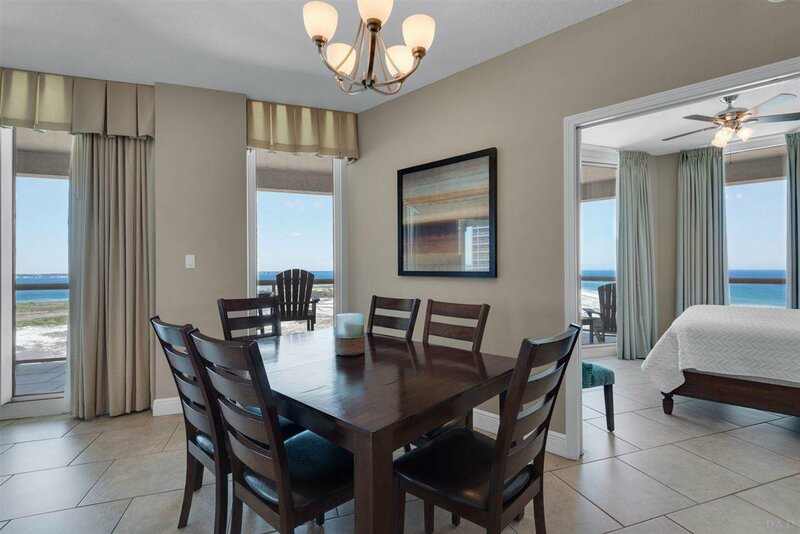 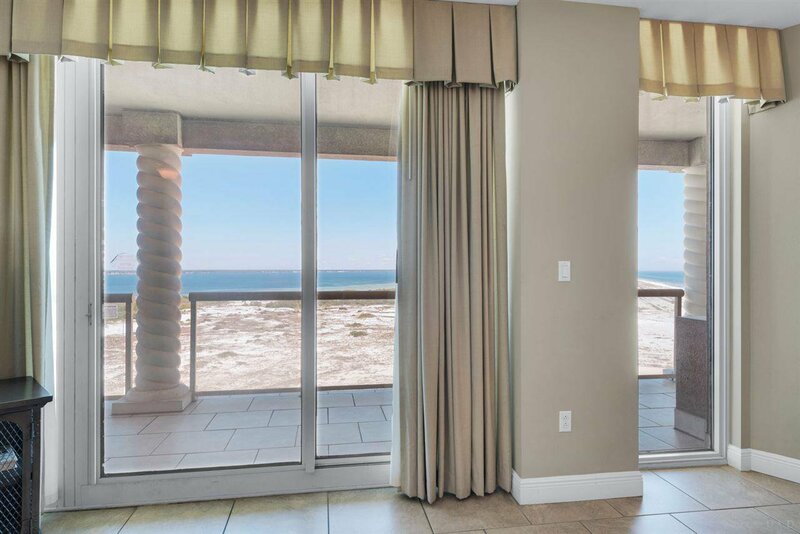 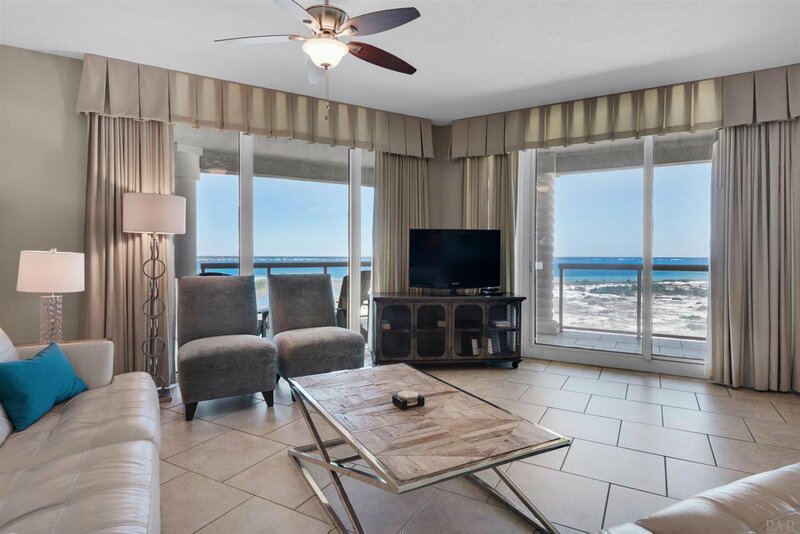 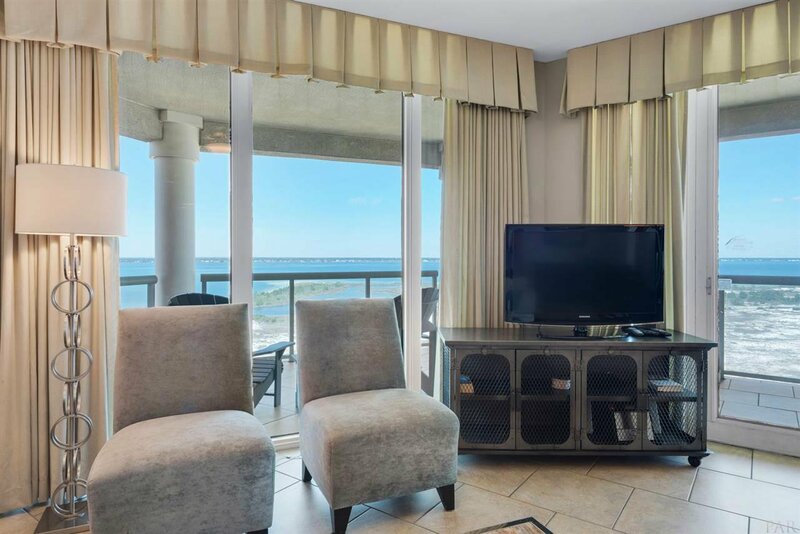 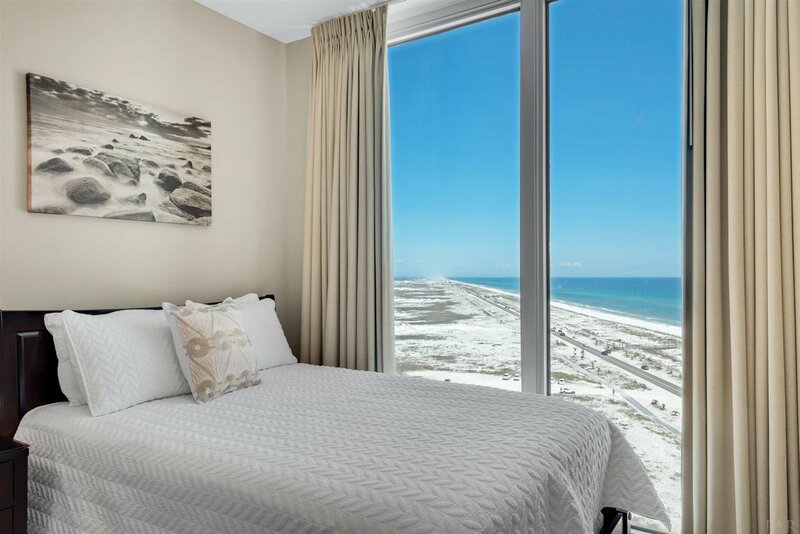 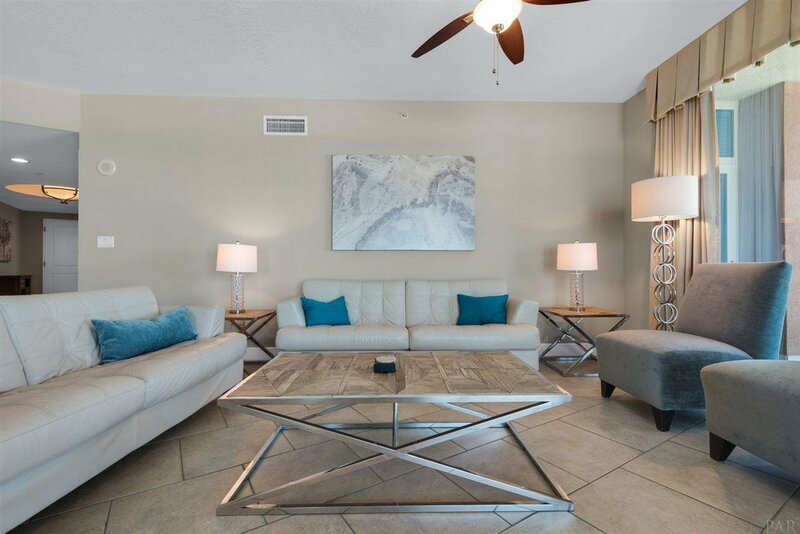 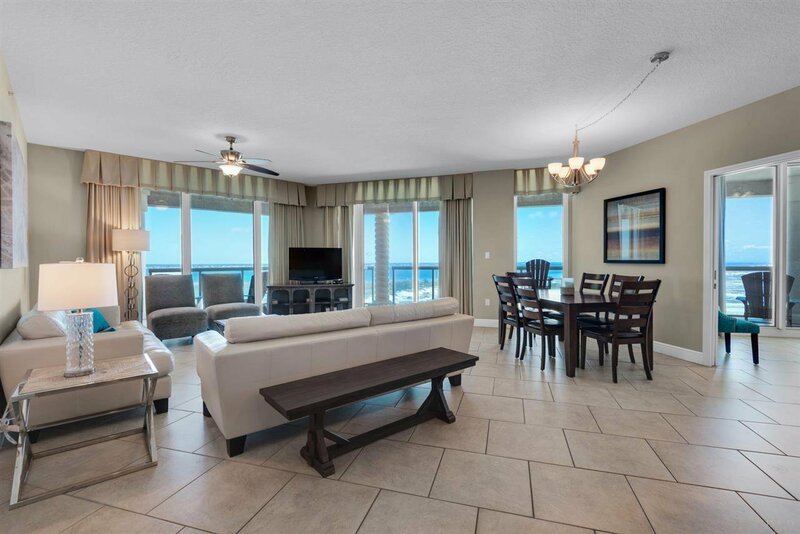 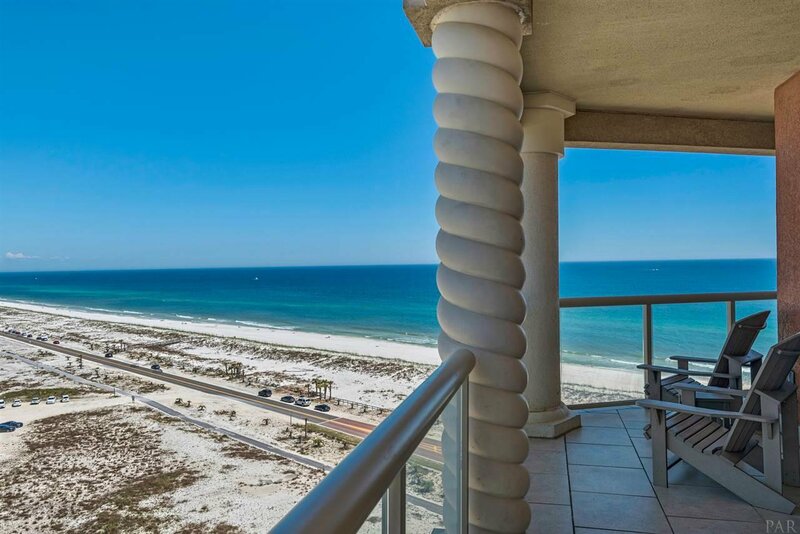 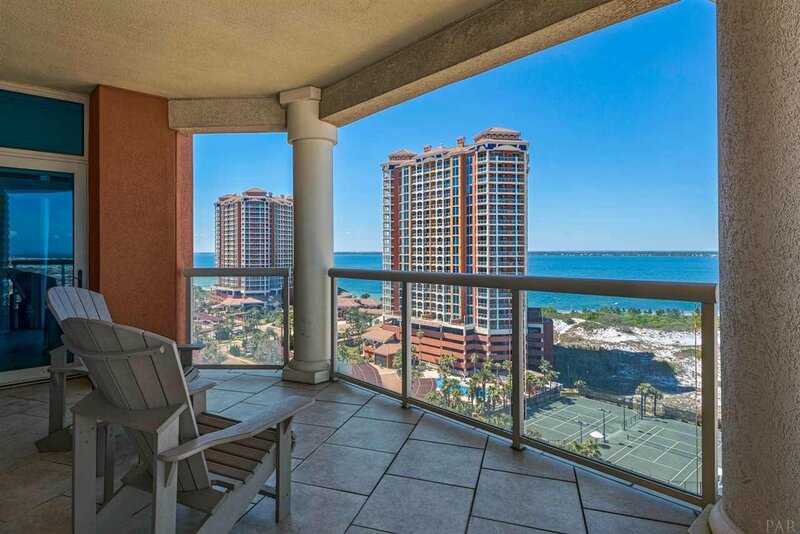 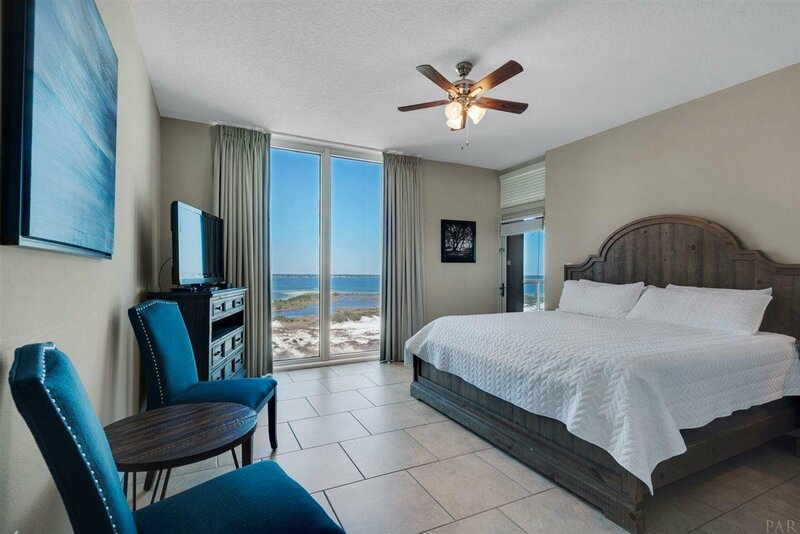 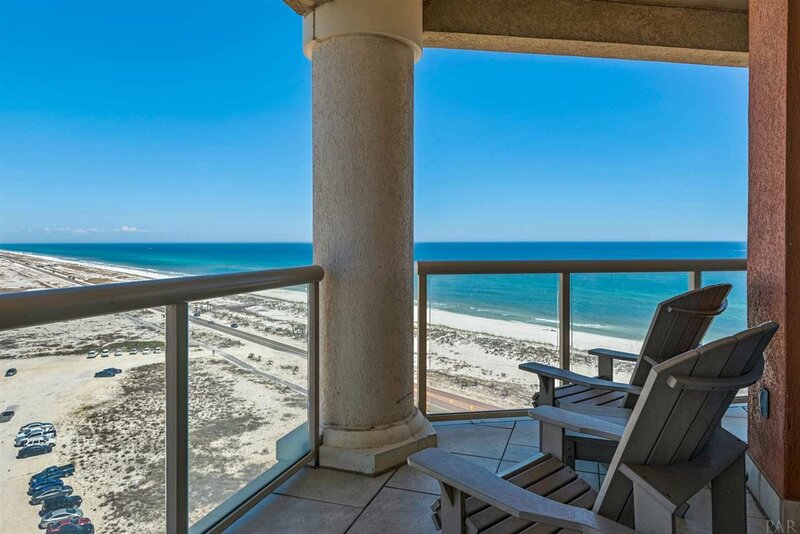 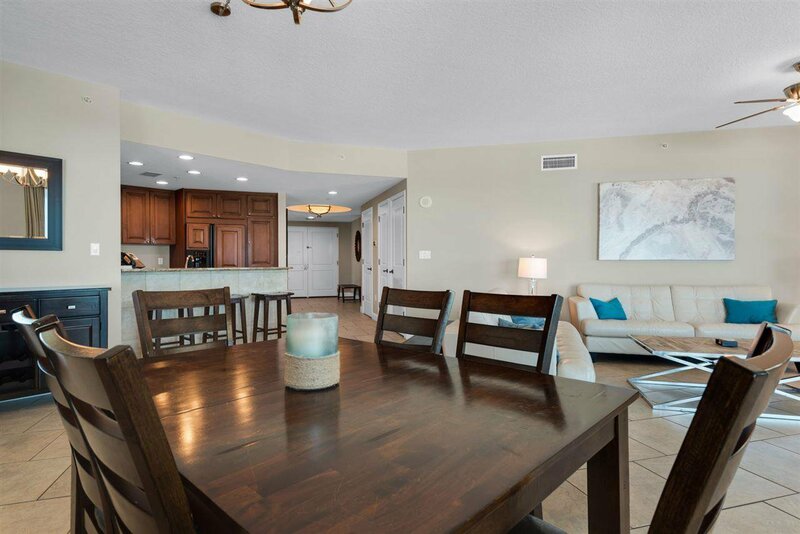 The large living area has floor to ceiling windows looking out to the Gulf of Mexico and Santa Rosa Sound, and offers easy access to the large balcony. 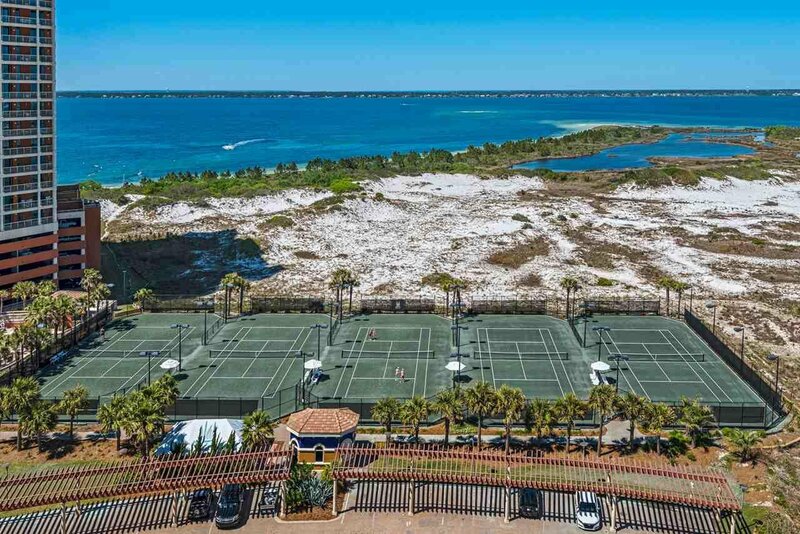 Portofino Resort and Spa offers two outdoor infinity edge pools with hot tubs, an indoor Olympic size lap pool, and five Rubico clay tennis courts. 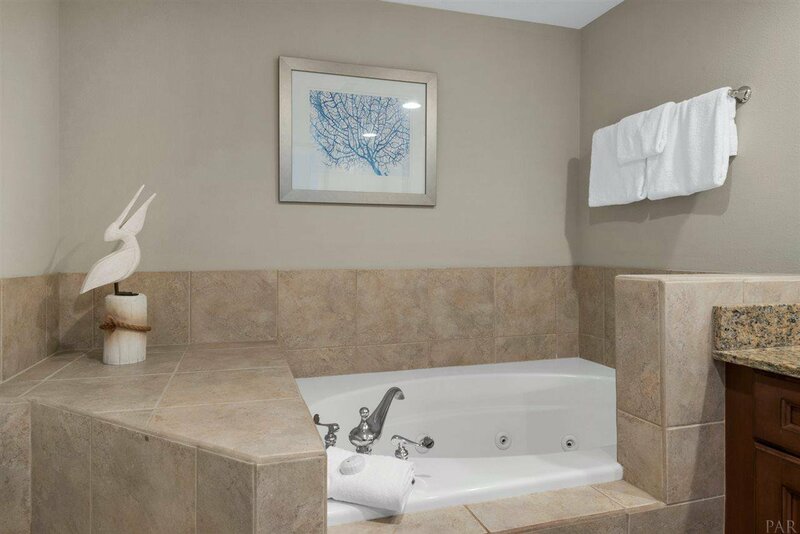 Each tower also has its own pool and hot tub. 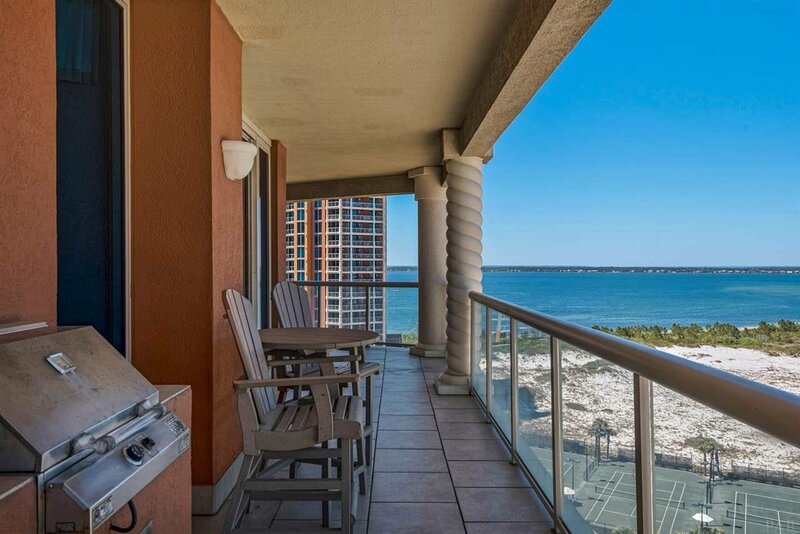 Enjoy casual outside dining from the Al Fresco Grill and seasonal live entertainment. 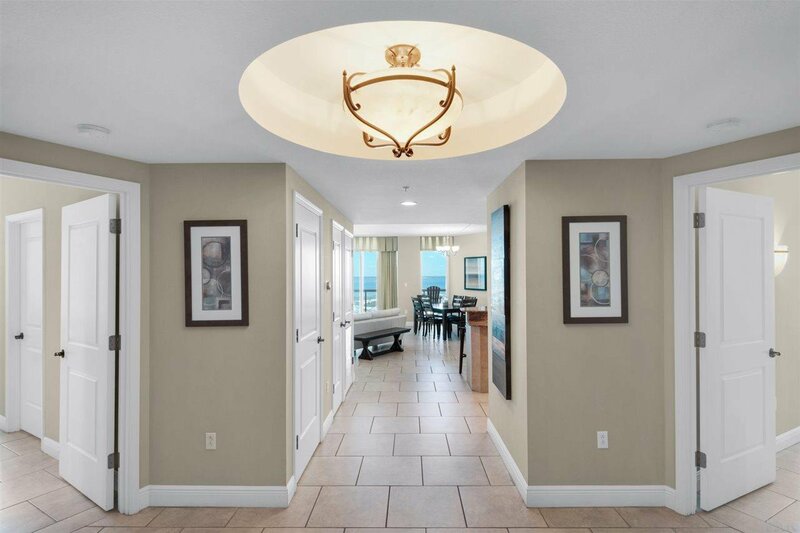 Inside the Spa & Lifestyle Center enjoy fine dining at the Coastal Restaurant, a convenient Market, Gift Shop, Concierge, 3 Spa Treatment Rooms and a full state-of-the-art Fitness Center. 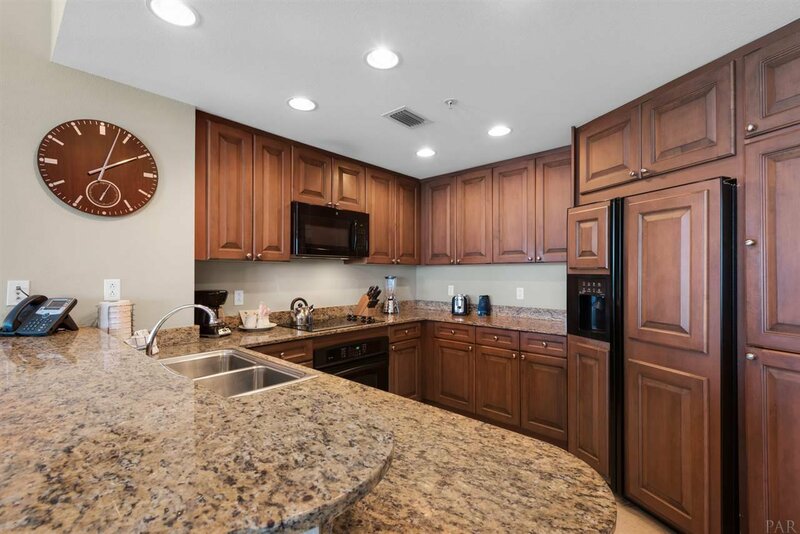 Turn key ready and rents on Premier Management program as an elite unit. 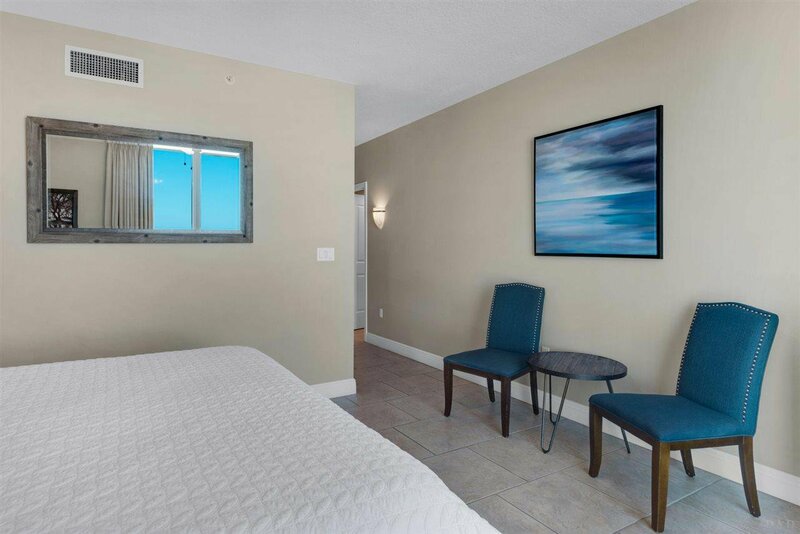 All furniture included except outdoor furniture.